Why do Utah Mormons need constant validation? I’m nearly giddy with excitement, knowing that our very own Mitt Romney is going to be the next president of the United States. Yep, our very own Mitt. I read about our very own Mitt this morning when I clicked on the Deseret News website and read a column by Doug Robinson that our very own Mitt Romney is, well, our very own. We can all be so proud that one of “ours” is going to become the most powerful man in the world. 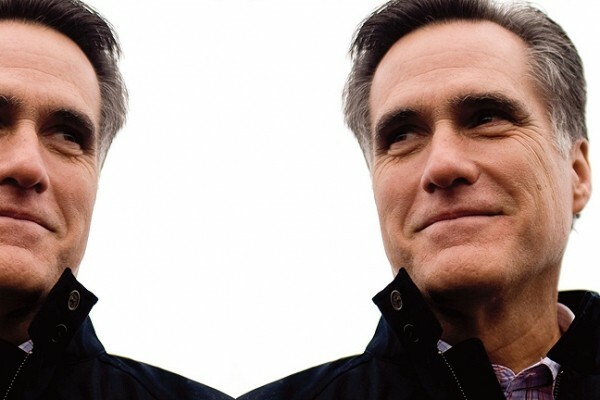 I have no problem with Doug Robinson cheerleading for Mitt; it’s become second nature over there at the Deseret News. He’s proud of Mitt. His paper is proud of Mitt. The people who read that paper are proud of Mitt. Because, after all, according to the story, our very own Mitt has put us in the major leagues—we’d be nothing without Mitt. At least Robinson doesn’t rely on the tired cliché that we should love our very own Mitt just because Mitt is a fellow Mormon (as nearly everyone else over there does). Robinson, flexing his independence, barely touched on that topic, just saying that Mitt is a member of Utah’s “prevailing faith.” Who knew? Instead, the storyline was basically that, as with our very own Steve Young (like Mitt, not born in Utah and only lived here a minute or two), we have so many gosh-darn nebulous ties to Mitt that he might as well be a native like the rest of us. Well, me anyway. My own Mormon roots go back to the Mormon Battalion and the handcarts, so yeah, when a billionaire holds his hand out for some additional campaign money, I’m all in, Brother, all in. I am not validated as a person, and we are not as a society, after these short 165 years or so of Mormon-occupied Utah. If not for a Steve Young or a Mitt Romney to give us a sense of self, of national validation, I don’t know what I’d do, nor what would become of us. Just think—after Steve and Mitt, who can we point to and say, “See, we are special”? I’ll tell you who. No one. Not the guy who invented television, that’s for sure. No one reverently speaks of Philo T. Farnsworth here in Utah, but his statue is right there in the national capitol in Washington, D.C. Who’d he piss off, anyway? Utah can’t even point with any sense of real attachment and honor to the hundreds of famous Mormons on the website dedicated to famous Mormons (FamousMormons.net). Yeah, that’s really a site—same as the ones dedicated to famous Catholics, famous Greeks and famous potatoes. After reading Robinson’s column, I spent a good deal of time reading about famous Mormons. Here’s what I found: Lots of people listed there used to be better Mormons than they are now (Katherine Heigl) or were only Mormons during their youth or teen years (like Roseanne Barr, of all Jewishness! ), or are latecomers who spend a lot of energy making Mormons look bad (Glenn Beck). Some have very deep Utah roots, like BYU native Kresimir Cosic. By virtue of his conversion to Mormonism, every Croat kid I knew began having night sweats. David Archuleta is there. He’s a good Mormon and a fine singer. Plus, Archuleta went off to serve a church mission of his own volition, not because it was a comfortable way to miss out on the Vietnam War. David Archuleta for president. Mark it. And that’s only because Jon Heder hasn’t been in a good movie lately. Some of the comments under Robinson’s column implore Utahns to quit trying so hard to be loved and, following that, quit wanting acceptance into the greater wash of United States citizenry. They’re right. Utahns try too hard to be loved and accepted, and on that score Robinson was correct. He detailed how we all fell over ourselves leading up to, and during, the 2002 Winter Olympics. But that was 10 years ago—the best we can do today is fawn over Mitt Romney and Steve Young? On FamousMormons.net, there’s a section dedicated to persons “Rumored to Be Mormons” (including Tom Hanks, a fellow Greek Orthodox like myself, thank you very much!) and another to “Infamous Mormons” like Ted Bundy and Mark Hofmann. Why sit and fantasize about potential or fallen Mormon heroes when there’s also a military page that includes two Mormon Congressional Medal of Honor winners? Maybe if Mormons focused on them, not celebrity, nor Bundy and Hofmann—or even Young and Romney—insecure Mormons wouldn’t feel so insecure. But, you know how it is. Every time someone so much as breaks wind around here, a story about it will address whether the scent offender or his accuser is a Mormon. And leading that one is the All-Mormon-All-the-Time Deseret News. It’s just too much. We are who we are. We live in a great state with plenty of things to do except during Happy Hour. Why is it that every day, in every waking moment, Utahns, especially Mormon Utahns need to be validated? Geez, Mitt. Win and put and end to this. However, if you’re a Mormon Utahn needing some love, just drop me a line—I’ll mention you in the next column.